ePublishing Knowledge BaseePublishing Knowledge BaseePublishing Knowledge Base Content Import / ExportHow do I export XML-Feed content for articles and blog posts? If you want to export your articles and blog posts to an XML feed based on the NewsML-G2 standard, follow the instructions below. The articles will be exported in the same order noted in the comma-delimited list. The article IDs can be found in the Article Manager > Search form in the column to the far left. Articles can be exported regardless of their state: published or unpublished or in workflow, if applicable. 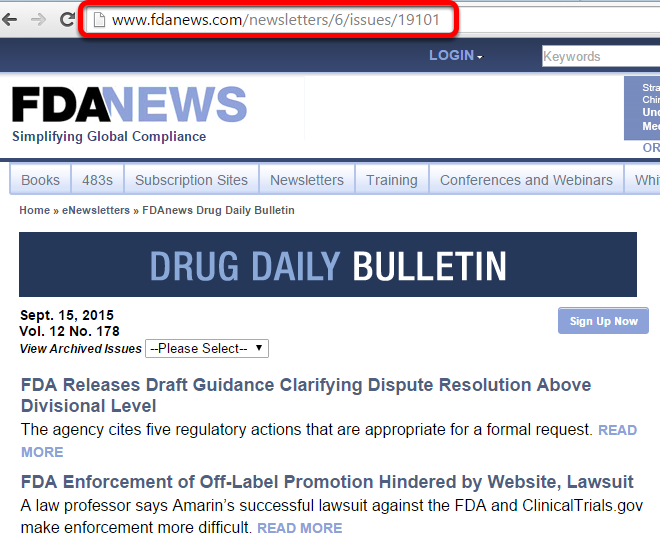 You may also designate a range of article ID numbers, rather than individual ID numbers. 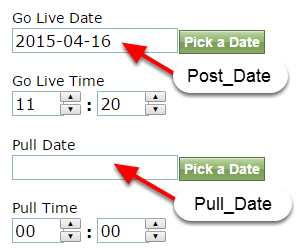 Find the updated_date within the Article Manager under History. The updated_date is the most recent at the top of the history. Zoom: Find the updated_date within the Article Manager under History. The updated_date is the most recent at the top of the history. Find the created_date under Search in the Article Manager. 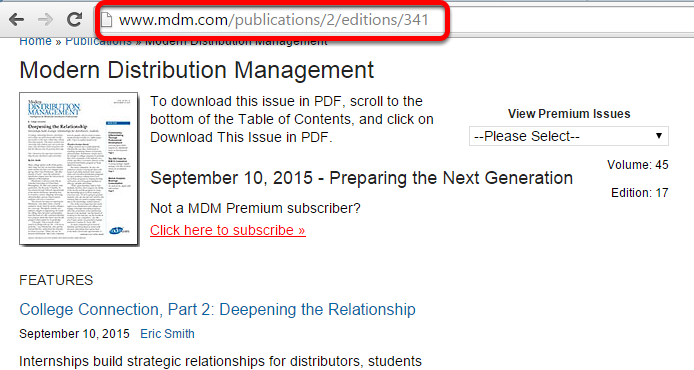 Zoom: Find the created_date under Search in the Article Manager. The articles within the specified taxonomies are limited to the 50 max articles returned with a single request. To find the taxonomy ID, go to the Taxonomy Manager and click on the taxonomy you'd like to include. The ID number is circled below. Zoom: To find the taxonomy ID, go to the Taxonomy Manager and click on the taxonomy you'd like to include. The ID number is circled below. This would pull all articles and blog posts associated with a specific newsletter issue. This is not comma-delimited; only one number will be associated with this, representing the single issue. Only content from a single issue or edition would be returned. This would pull all articles and blog posts associated with a specific publication edition. This is not comma-delimited; only one number will be associated with this, representing the single issue. Only content from a single issue or edition would be returned. Prev: How do I add User Privileges to access articles via an API in the NewsML-G2 format? Next: What are all of the possible routes and filters available for the content export XML feed?